UP Vice President for Academic Affairs Giselle Concepcion, Associate Dean of college of Mass communication Danny Arao, Ms. VioletaDadufalza, UP Univ. Secretary Lily de las Llagas, AVP RhodAzanza Special Assistant to the President Odette Portus, UPOU Vice Chancellor Lumanta, Vice ChancellorSaludadez, Dean Bandalaria, Dean Buot and Dean Arinto and our other University of the Philippines System and Constituent University officials, colleagues, students and friends. I am excited with this award and humbled at the same time. Receiving the Professor Concepcion Dadufalza Award is really inspiring for us who stay in the university… Professor Dadufalza was the epitome of a dedicated teacher well loved, enjoyed and taken very seriously by her students. This is a great opportunity for me to share with you what we have been doing… and to listen to each other. For us academics this is what we do. It is important for us to make public what we are working on; our narratives, creative works and solutions to our problems, our studies and researches. We want to hear what fellow academics think about what we are working on because we respect peer review and we have this passion to improve on what we do in pursuit of new knowledge as we contribute to the growth of our disciplines. The idea of sharing and moving our thoughts is part of this true academic sharing and authentic cultural dialogue. I think that this award is about my being able to do eLearning, eTeaching, and eResearch through Collaboration and Networking in the Digital Era but what I have done will not be possible without a whole community of academics who believe that it can happen and work for the enhancement of our academic environment. It can only happen in the University of the Philippines with the kind of scholarship and spirit of academic freedom alive in our university and in this digital times. I am a home grown academic so please allow me to share with you my growth in our University, which has so much to do with how I was able to integrate the many experiences, approaches, methodologies, pedagogies and how it has contributed to the ways I have approached teaching and learning, research, extension and administrative work. 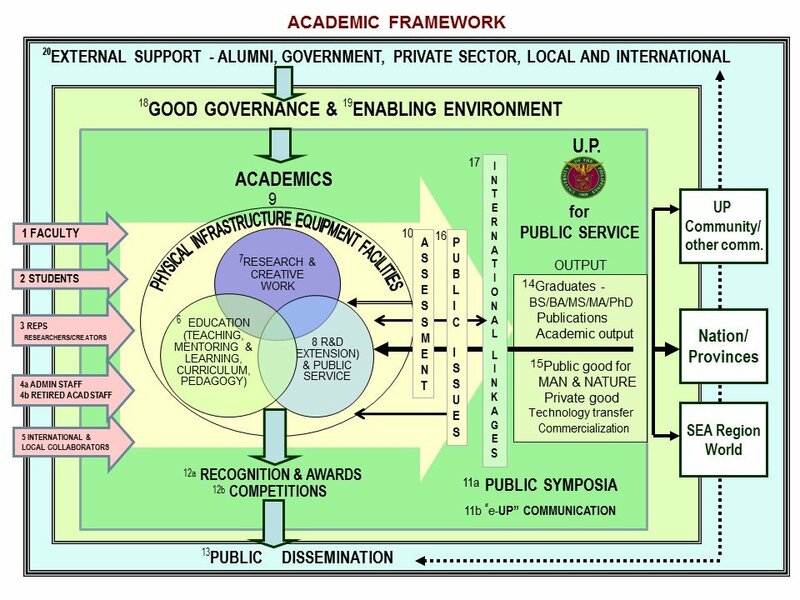 I have condensed in 5 slides my 38 years with our beloved university not counting my elementary and high school days also in UP. I am grateful to our University of the Philippines for allowing me to grow and for giving me the opportunity to imagine, explore, apply and create an enabling environment for us and our faculty and students strengthening our community of scholars. Here’s a brief history of my academic life and bringing my art beyond academe… bringing my works into public spaces. I took Bachelors of Fine arts in CFA major in painting (we were only two students enrolled in painting everybody was enrolled in advertizing now called visual communication). I studied painting at a time when there was a strong questioning of doing art that stayed with mimetic approach of figurative works. Almost copying the masters work as criteria of good art was no longer the requisite. The highly gestalt and formalist approach was not as sacred as it used to be. There was a wave of strong theorizing and analyzing philosophies behind art movements. After my BFA. I mounted solo exhibitions and joined numerous group exhibits and I was asked to lecture in the College of Fine Arts. I taught Visual perception and Chiaroscuro. Then I was offered to likewise lecture in the Institute of Mass Communication while I was lecturing in the College of Fine Arts. At IMC I taught visual communication photography and Film. Then IMC invited me go full time as I was pursuing my studies I was registered in a program called Master of Arts in Humanities also in UP after taking all the course work and did my thesis fulfilled all the requirements… I was surprised that my diploma said M.A. in Art History. I was the first graduate of this program. I realized there was a redefining of areas of studies and changes are inevitable. Things were still in transition then… the institution of Art Studies came into being. I realized that wanting to be with academe meant that I have to be a life long learner. So it was necessary for me to practice my art and media as I continued to contribute to my discipline and to help engage different audiences in public discourse. I was producing and directing a weekly public affairs program that tackled national issues…”Nightline Manila”, a drama anthology – “Tangi Kong Pagibig”, “Tanglaw ng Buhay”, a docu-drama on livelihood, a broadcast workshop, a “Talent Center on Air”, focused on training of talents in performances and film production, and “O Sige”, a comedy, to capture young humor and for the youth to comment on things happening around them. I also produced the first mini series in the country, “Hawlang Krystal” and directed telecines for 3 stations as part of the pioneering group directing and producing films for television. On top of my full time teaching, I enrolled in the newly offered Ph.D. in Communication of the College of Mass Communication with numerous courses under Philippine studies on top of my communication program’s course work enriching my research experiences. And eventually I graduated with the first batch of of PH.Ds in Communication… . As all these were happening I was also involved in defending the institutionalizing of the Film and Audiovisual communication program which became the fourth major of the College. I became the founding chair of the program. Being an academic meant TEACHING ,MENTORING, doing CREATIVE WORK RESEARCH EXTENSION / PUBLIC SERVICE and ADMINISTRATION…moreover as a film critic (being with Manunuri ng Pelikulang Pilipino, GawadUrian) I was writing a column in Malaya called KULTURA POPULAR then SIGHT AND SOUNDS in Daily Tribune. I found myself shifting from one medium to another. Being a life long learner…I chose to leave one summer to take up two courses in New School for Social Research in New York. I enrolled in Hitchcock grounded on Auteur Theory and also took Culture Theory which was a sociology course introducing British Cultural Studies which was a popular area at that time, knowing it would certainly help in my teaching Film. Eventually I moved to heading the Graduate program of CMC and it seems with my experiences in CMC and my media work, the UP administration thought it important that I be involved in the Distance education program of the university which eventually became the UP Open University and I became the Dean for the School of Distance Education in Diliman, and then the director of the UPOU Multimedia Center. I found myself and my colleagues, teaching, doing institution building, practicing collaboration and networking amongst the universities, institutions, private and government institutions and the communities of practice as well. At that time I was able to do the massive volume of work because there was no traffic and the institutions I was involved with were reachable in a matter of minutes. We all know that whether you are an artist or a scientist and an academic at the same time, you cannot confine your working hours to a regular daily 8 to 5 hours and MWF and TTH teaching schedules. It will always be beyond that. In fact you will have to look at your work space and time in a non linear way And all this time In all this work, i never stopped teaching and mentoring in film and communication. As a teacher and researcher I am now developing a course that is an example of e-teaching e-learning and e-research…with collaborative and networking in the core of its discipline – the Art in ASEAN course ASEAN 222. This is the focus of this talk. We are all concerned with the concept of openness and the dramatic changes in recent years in the field of information and communication technologies (ICT). ICT brought eLearning in the center of higher education in our university and added new dimensions to openness. In a networked society where very fast exchanges of ideas exist, the internet is this unending trillion conversations making use of all media, We have print, we have radio and television all rolled into a medium that is multimedia – print, graphics, audio, and video, all different media, together with its own set of grammar and syntax giving openness this new excitement and synergy in these new dimensions of connectivity, interactivity, ubiquity framed in this automatic constructivist-participatory pedagogy of teaching and learning. By producing learners who have the ability to seek new information from different sources, translate this information into applicable knowledge, and communicate this knowledge in various forms and situations, they should be able to work in different cultural contexts as well. ODeL with its affordances, can help us address the challenges of education in the 21st century. Through the years, many changes have been happening in moving our ideas on top of face to face sessions with our students and colleagues to be able to do our teaching, mentoring, research , extension and admin work. With the complex ICT management in the movement of ideas already situated, creative technology solutions are being applied in diverse areas. Today in the we have identified that our learning and teaching will have to be learner centered, flexible, distributed, collaborative, integrative and for our learners to be innovative, creative and have critical thinking and be able to find solutions to problems and translate researches and studies into various media that will be more accessible to end users. in this digital era, this usual complex collaboration and networking in the practice of our mandate as a community of scholars is made possible with more ease and satisfaction despite traffic concerns. This multimedia digital era not only calls for knowledge of different literacies but what is more exciting is you have this multimedia that captures orality, the exchange of ideas verbally and you have moments of quietly contemplating in modes of visuality. We have put our university in a whole new world of teaching and learning. The course is propelled by a completely online teaching and learning environment which positions academic texts in hard print into hypertext, visual texts as hypermedia and audio and moving images as hyper-multimedia/rich-media. Online teaching and learning is meant to enhance the learning experiences of our students and to reach more Filipinos in our country and abroad and for all those who want to access it. The widening of the virtual teaching and learning culture world wide has ushered in the changing learning styles of our Filipino students. Each year, more and more digital natives are joining the higher education sector. Even digital migrants like us are constantly being put in a position where we have to adapt to a new technology. Challenging us faculty and learners to develop other media literacies and deep realization that teachers and learners are co-creators of academic texts through research and praxis pushes new knowledge for the growth of our disciplines and commuities of practice.At the right part of the screen is a listing of the courses I teach online These are the courses I teach using ODeL. But I shall focus on ASEAN 222: Art in ASEAN because it maximizes ODeL and Collaboration and Networking in the digital environment. I also see the value in teaching art in a cultural critical perspective – Grounding research, teaching and learning approach in a multidisciplinary platform, making use of interpretive areas of sociology, anthropology, media studies and art studies in making sense and meanings of art, artworks and artifacts and artists. It situates art in everyday life and art in public spaces are integrated in the developing, designing and producing Art in ASEAN Course as part of the Master of ASEAN Studies in UPOU. Here we see the collaboration and networking in the production of course materials as our colleagues in the different ASEAN Open Universities extend their time and resources as we do our documentaries that capture the beat of their artists, artworks, art forms, art traders and art scholars. Artworks are products of cultures, ways of life of different people with shared meanings in facing their challenges and potentials creating the identities of nations. Talking about art and culture necessarily means talking about our nations. The aspects that have the strongest influence in the art and artworks are the government’s cultural directions, religion, art trade, art education, and the artists as they see themselves as artisans, crafts people or empowered artists. The framework used in the course design, the development and production, and sample course activities foregrounds “multimedia” as research. The course captures the visuality of the artworks and the orality of the artists and other major participants in the processes that contributes in the creation of the arts and reflects the cultures of ASEAN nations. Our history and past experiences as a people brought us into divergent cultures. Diversity in our Government’s view of how much The Arts is essential for economic, political, social and cultural development. Our varied Religions and belief systems as it dominates ways of life and everyday realities affecting the art forms and the philosophies behind them. To be more specific…This is part of my course in our LMS my portal. I consider my classes as research classes as well and this contributes in ushering of new knowledge in our discipline. I have posted on this slide how the multimedia materials are presented in the course site and you can just click on it and the learner/ participant can right away access the material anywhere and at anytime. I facilitate the maximum exchange of ideas among learners through online forums. Students submit their papers and multimedia requirements online and conduct and disseminate their research using multimedia approaches and formats. I do feedback and give both qualitative and numerical assessment. Learner-content-teacher community of practice interactions happen online andFor learner –learner interaction we do it in the online forums, chat, videoconferencing but we go beyond this… the course guide and resources listings, there are questions in online forums to expound on the concepts in their own contexts. Students are encouraged to post their ideas and react to each other’s postings to promote Learner-content interaction. Content is delivered to students through technology, through view video lectures, read online academic articles from the community of practice and journal articles; the videos by resource persons who are the experts in the field; together with the videos of our artists and art scholars – that are produced by UPOU’s Multimedia Center. To promote learner-teacher interaction I guide students to produce videos to document and to creative work grounded on authentic beat of their own communities in socio-political-economic context in which these stories are situated and mandate my students to produce only original texts and elicit reflective thinking from them. I have produced video lectures of my own that are accessible at the UPOU Networks, After their submission, I provide numerical as well as descriptive assessment of the students’ work. For learner-community of practice interaction, aside from being immersed in their communities when they do their video research, they are encouraged to enter their works in the platforms Vimeo and You tube, digital video exhibitions, festivals, and competitions. UPOU organizes exhibitions and competitions every year for its students to elevate the discourse in public spaces. It is most important that I capture the authentic voices of the artists, art critics, cultural sociologist and anthropologists, art curators, art traders, art patrons, national and local cultural officials and the other stakeholders in art and culture. This automatically reproduces academic texts orally and visually putting forth the importance of developing and strengthening other forms of literacies. The use of written words alone may not be doing justice to the need for authenticity and the capturing of the true beat of the art and culture of each nation and the uniqueness and diversity of our cultures and identities. Our region’s respect for our diversity of cultures is our richness and our strength as ASEAN. These are the areas where we can produce video materials of original text where hopefully the academics of the different universities in ASEAN continue to collaborate in producing original texts from their perspective and using their own cultural lenses. Our students too, since teachers and students are co-creators of academic texts as well. These are the topics identified but I am sure there may be changes as I do the productions. The A part of the course ASEAN 222 will be offered as a short course…it will be offered at the same time as a MOOC. My students will still be learning, responding and submitting requirements in Myportal but I will require my students to also enter the MOOC version so they can collaborate with a larger community of learners/researchers . The A part of the course ASEAN 222 will be offered as a short course…it will be offered at the same time as a MOOC. My students will still be learning, responding and submitting requirements in Myportal but I will require my students to also enter the MOOC version so they can collaborate with a larger community of learners/researchers and as co-creators of academic texts in this course. ASEAN 222 is the sixth MOOC to be offered by the UPOU. MOOCs had been around since 2008 when George Siemens coined the word to describe the course Connectivism and Connective Knowledge which he offered together with Stephen Downes. This course has been widely regarded as the first ever true MOOC (Times Higher Education, n.d.). It was in 2012 that the number of universities, professors, and learners who became part of this teaching and learning environment became significantly noticeable to the extent that many even regarded it as a disruption to the conventional mode of education. Because of this phenomenon, some publications declared 2012 as the Year of the MOOC . UPOU came up with its own version of MOOCs, and started offering courses under this framework in 2013. Drawing from its more than 10 years of experience of implementing degree and non-degree programs in the distance elearning mode; and doing research on this mode of instructional delivery; applying the quality assurance framework that UPOU is using for its programs and courses; and consulting the academic staff in a crowd sourcing-like activity which we dubbed as MOOCathon, we came up with our MOOC framework which we call MODeL or Massive Open Distance eLearning. Through MODeL, UPOU has attempted to address the issues and challenges faced by the MOOCs in its current form. At this point let me show you some very short excerpts of the original multimedia texts we have produced for our ASEAN 222 course. Technical director can you put the material on? ******There is a saying that to teach and learn art is to experience art. In the design of the activities, assessment and evaluation – the addition to new knowledge in the field of study, the theorizing is seen in the selection of footage and its putting together of footage that sets the viewers thinking and interpreting additional insights and interpretations that go beyond cliché’s and mainstream interpretations strengthened by synthesis or reflection papers. This pushes viewers, the student , the teacher and those who will eventually see and understand the multimedia use to immerse in the arts and engage in critical thinking through making accessible via multimedia the images, conversations, interpretations by those who are participants of the Arts in the ASEAN being studied. 4. Exhibition and Critique – 20% the students are asked to review and rate their top ten video documentary choices and share their reasons why it is important that their peers view these works. Art in our region is as alive as the search for our identities as nations in proximity. We see our cultural diversity as our strength and richness as a region. As we rigorously study and articulate our areas of strengths and challenges as a people we are to find our dynamic discursive spaces, foregrounding intersecting spaces on multi-textual levels of complexities ushering shared meanings that will eventually be defined, articulated and theorized. 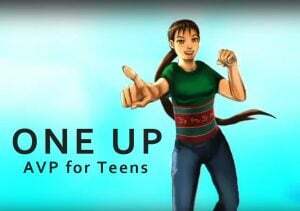 We are most concerned with the way the Filipino arts, artworks, artists, art scholars, researchers and teachers are presented and represented in the digital platform. And in general it is important that we learn to move our ideas,our narratives, experiments, researches with the end in mind that our people in our country and in the rest of the world can benefit from them. And ultimately can contribute to social transformation. Despite these efforts, the University is aware that there are still some issues and challenges in Open and Distance eLearning that we must address as an academic community. • More empirical and socio-cultural-critical research work on the co-creation of knowledge and pedagogical practices in the context of Art and Culture. 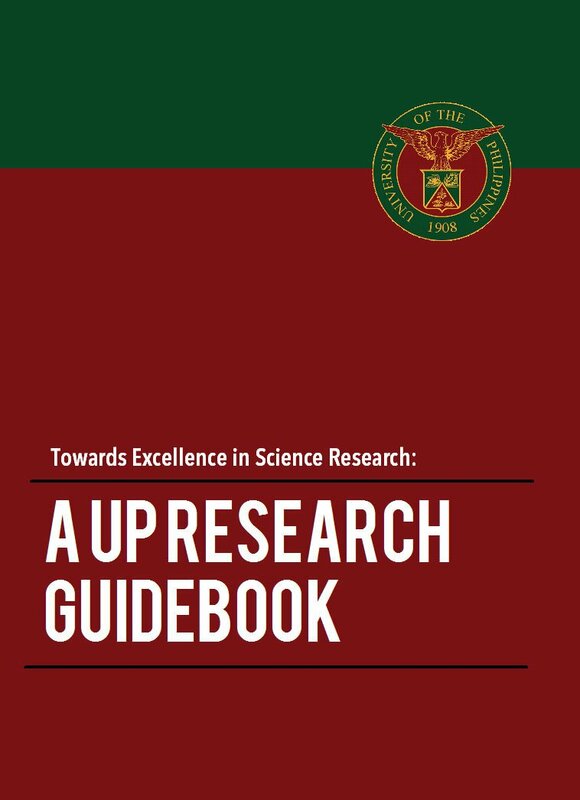 Encourage faculty members to publish their Art and Culture researches in peer reviewed journals and on top of that encourage academics to disseminate their work in social media and for universities to recognize these efforts as part of the universities’ extension function. Use multimedia not only as an object of study but also as a methodological approach and a means to disseminate our research findings beyond academic circles. • Expanding digital spaces for publication of our region’s Open Educational Resources (OERs) for Open or Free sharing. • Claiming spaces in all media environments for public discourse beyond academic circles. • Instilling and reaffirming ethos of– academic excellence, academic freedom, humanism, intellectual pluralism, and service to society for eventual social transformation contributing to ASEAN discourse. We have to Collaborate and Network more in these changing times. . What is good news is that today, as academics we are all encouraged to make our courses more technologically enhanced for both open and distance Learning and residential higher education institutions with the new law passed called Open and Distance Learning Act. 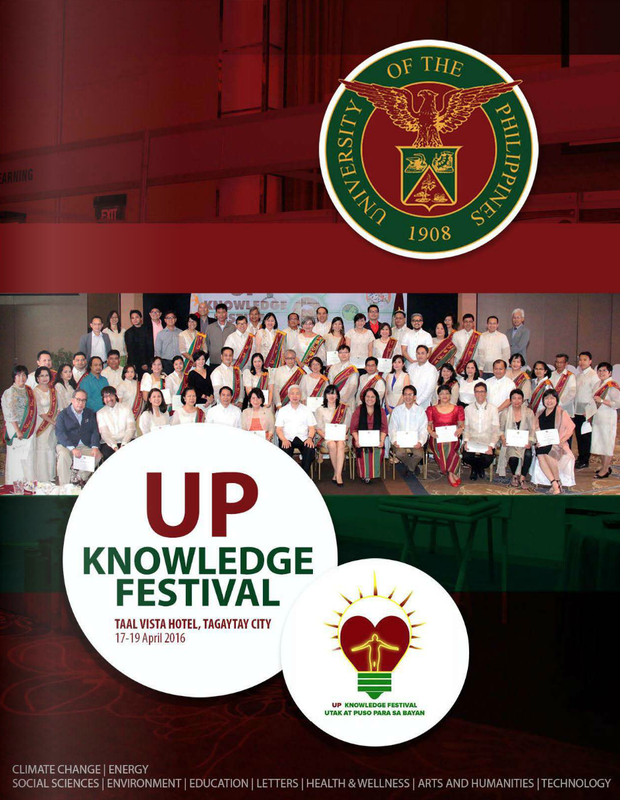 UP Open University was named and designated to take care of helping with the crafting of the Policies guidelines and standards of Open and Distance Learning in the country and the needed projects and programs for all higher education institutions in the country who would like to integrate it in their conduct of teaching, learning, research and extension work. We are to take part in a very important role here…in open and distance eLearning for social transformation. The most exciting part is still to come…I can see the GE program as a possible area for collaboration and networking among academics of the different CUs working together in conceptualizing, producing and offering the different GE courses system wide. This can be the opportunity that UP faculty can truly share resources freely to work on the ten top courses identified in our GE mini conferences and discussed…agreed upon in the system wide GE conference. This means… that my dear colleagues… we have to once again rise to the challenge and maximize this opportunity to work together…to imagine….to explore and apply new media technologies that will work and contribute to our disciplines and create the enhanced environment of eTeaching, eLearning, eResearch in this digital age. The only way to do this…is doing it together. I know that this precious award the Professor Dadufalza award is really meant for you…for all those who believe in ICT and the power of communication through learner centered, flexible, distributed, collaborative Open and Distance eLearning in this digital times.